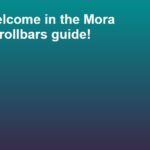 Load the required ‘smooth-scrollbar.css’ and ‘smooth-scrollbar.js’ in the html page. Make it scrollable when the inner content is larger than its parent container. 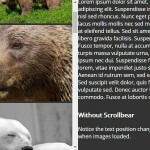 Append a custom scrollbar to the scrollable area. Possible options with default values. // Minimal size for scrollbar thumb. 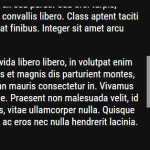 // Whether allow upper scrollable content to continue scrolling when current scrollbar reaches edge. // When set to 'auto', it will be enabled on nested scrollbars, and disabled on first-class scrollbars. 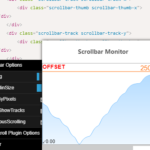 // Keep scrollbar tracks always visible. // Element to be used as a listener for mouse wheel scroll events. 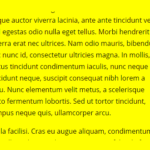 // By default, the container element is used. 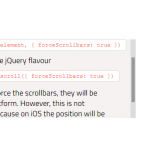 // Remove scrollbar on the given element, same as scrollbar#destroy() method. 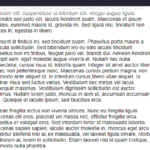 // Remove all scrollbar instances. // Attaches plugins to scrollbars. 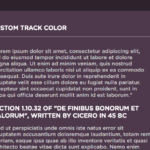 // Attaches default style sheets to current document. // Removes default styles from current document.